If you’re experiencing poor battery life after updating to the iOS 7.0.6 firmware on your iPhone or iPad (typically accompanied by your device feeling abnormally warm) then you will be glad to know a solution has been discovered which has helped many people with their battery woes. This quick fix is courtesy of OS X Daily who shared stories of users who could actually watch their battery percentage go down. The first thing you will need to do is very simply kill ALL the apps running in the background of your iPhone, iPod Touch or iPad. Keep in mind that you can close 3 at a time using multiple fingers. Next you will simply need to hard reset your device by holding both the Home Button and Power Button until you see the Apple logo. After completing these steps many users have reported that their battery life has returned to normal. 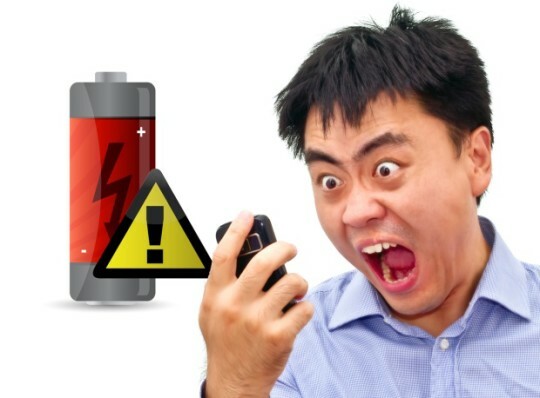 If you are still experiencing issues you should check out our battery saving tips here. Let us know if this quick fix helped you in the comments section below. The method you outlined in the article has indeed worked since early iOS6. Also, the method outlined below by Shahul1n1ly works as well. I can confirm Shahul1n1ly’s method works fine for me. My iPhone 4 used to last over a week using it.